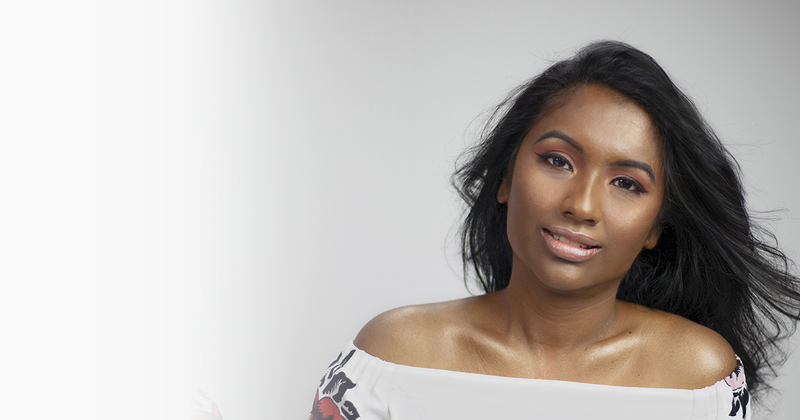 Helping you look as young as you can, as long as you can! Rediscover your younger, stronger skin. 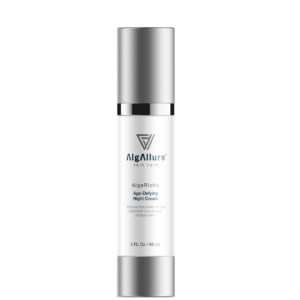 Research by our parent company, AlgEternal Technologies, into the myriad beneficial products and applications of Nature's primary producers, algae, specifically microalgae, has rediscovered an unparalleled anti-aging skincare mechanism secreted in the oceans. This breakthrough revolves around the phenomenal skin-nourishing properties inherent in marine red microalgae, which have over eons developed natural mechanisms to defend against the harsh environments in which they live. 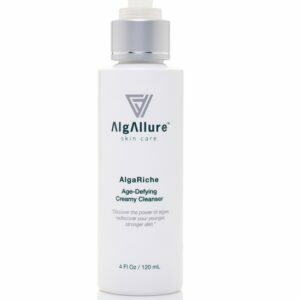 These natural defense properties in microalgae extract work on human skin, in the form of creams, lotions, masks, serums, and other beauty products, as effectively as they do for the microalgae. 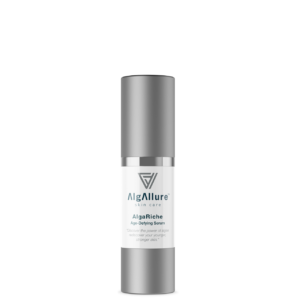 8 out of 10 women noticed an improvement in the firmness and brightness of their skin, along with other diminished visible signs of aging after just two weeks of using AlgAllure skin care. 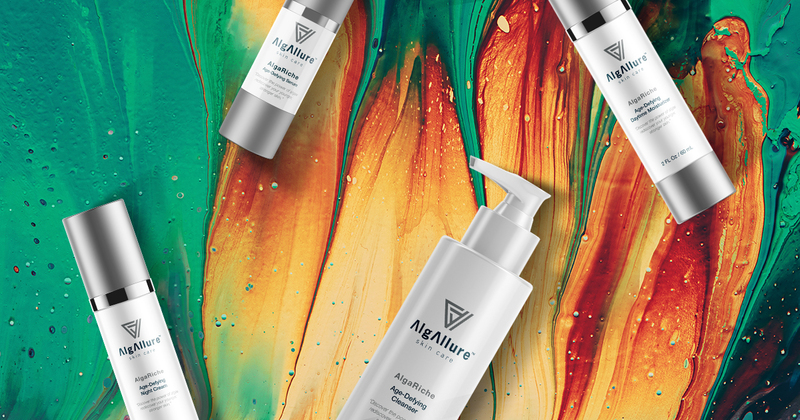 Committed to proven results, AlgAllure™ AlgaRiche™ age-defying skin care products undergo third-party clinical studies and consumer testing for scientifically proven efficacy. 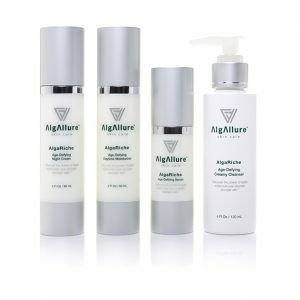 Emollient-rich AlgaRiche™ skin care products deeply moisturize aging skin while PhycoDerm™ aids in rejuvenating skin tissue and restoring radiance. Our products have been shown to deliver visible anti-aging results to the skin in as little as two weeks. We can’t wait for you to experience the AlgaRiche™ skin care collection and see for yourself. Please let us know about your experience with our products! A must-have luxurious, potent dose of antioxidants in a highly active, deeply hydrating serum designed to infuse the skin with free-radical fighting nutrients. 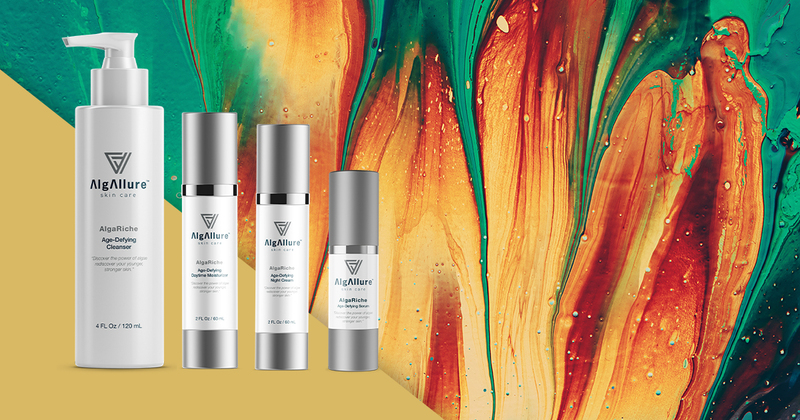 AlgAllure’s facial serum offers the highest concentration of PhycoDerm™ in the entire AlgAllure™ line and delivers the greatest benefit in conjunction with the rest of the AlgAllure™ collection.